The septic tank is the key element of a septic system. It’s basically a small scale sewage treatment system for areas that lack connection to government controlled main sewage pipes. Septic tanks require preventative maintenance periodically to maintain efficiency. Having your tank pumped out once every 2 to 4 years, depending upon the number of people in your home, is recommended. Drain fields, also referred to as Leach fields or Leach drains, remove contaminants and impurities from liquids that emerge from the septic tank. 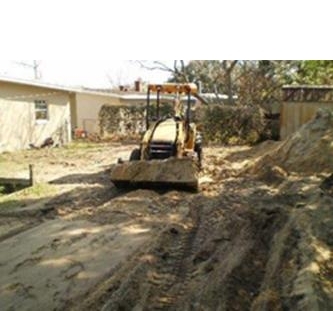 The septic tank, drain field, and the piping complete a septic system. 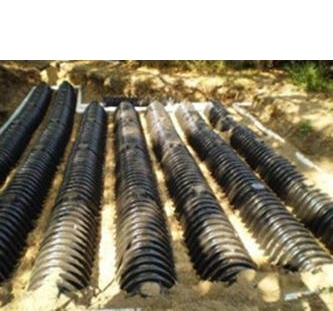 Drains fields consist of an arrangement of trenches in connecting perforated pipes laid out over porous material, such as rock, and covered by a layer of dirt. Please Call today at (407) 859-6285 or fill out our Form for information about our Monthly, Quarterly and Yearly Maintenance Programs! Mound Systems, sometimes referred to as an Elevated Drain Field, are alternatives to traditional Septic System Drain Fields. Mound Systems are engineered drain fields that are used in areas where septic systems may be more prone to failure due to extremely permeable or in permeable soils. Mound systems include a septic tank, a dosing chamber, and a mound. Waste that comes from the home is sent into the septic tank where the solid fraction settles down into the bottom of the tank. Waste water is then sent into a second tank, called a dosing chamber, where the water is distributed into the mound at a metered rate. The mound is made up of layers at different depths. Lift stations are designed to move waste water from a lower elevation to a higher elevation. The key elements in a lift station are a well, or wet well, equipped with screen or grading to remove course materials, motors, a power supply, a pump and piping, valves, equipment control with an alarm system, odor control and a ventilation system. Live stations are generally used to reduce capital cost of waste removal when connected to a local government controlled or private main sewer system. Lift stations are a great alternative when the gravity sewer is installed deeper than 10 feet, due to the higher cost of the excavation equipment. About 75% of our business revolves around the pumping out of Septic Tanks. Once the tank becomes full it is necessary to remove the solid waste to ensure the system does not back up into your septic lines, or even worse into your home! Our Trained Technicians will pump out your tank and perform a complete inspection of your septic system ensuring your system is working properly and is in tip top shape! First let’s see what every wastewater system should do. This is true for onsite systems as well municipal treatment plants. A septic tank system although very simple in design does all of these things very well. It takes the wastewater from your home, and allows the naturally occurring bacteria in the soil to treat the water. First by settling the solids that enter the tank. Then bacteria in the soil treat the water, as it moves through the field lines. The clean water then returns to ground water. All wastewater from the house comes to a central drain. This one drain leaves the house and runs into the septic tank. Although some tanks are made of plastic or fiberglass, most tanks are made of concrete. A tank for a single-family residence (three or four bedroom) is 1000-gallon capacity, and measures approximately 4.5’w x 9’l x5’d. Side view of a typical septic tank. Septic tanks have one inlet and one outlet. By design the inlet is higher than the outlet. The outlet level determines the water level of the tank. A tank at its proper water level is always below the inlet pipe; this allows the inlet to remain empty between uses. A baffle divides the tank. This baffle is open at the bottom and half way up. Its primary purpose is to hold floating solids on the inlet side of the tank. The outlet tee serves the same purpose, keeping any floating solids that may have passed the baffle from entering the field lines. All new systems are installed with in the outlet tee. The field lines are a series of trenches in the yard that allow the effluent from the septic tank to return to the ground for final treatment. While the septic tank catches and holds the solid waste, the field lines and the soil that surrounds them are the final treatment where naturally occurring bacteria break down pathogens in the tank effluent. Have a licensed contractor inspect the tank at least every 1-3 years. Have the tank pumped on a regular basis to prevent solids and sludge buildup from entering the drain field. If necessary, install gutters to re-route rain runoff. Grow grass above the system (NOT trees). Install water conservation fixtures or devices to reduce the total volume of water entering the system. Keep plumbing fixtures such as toilets and faucets in good repair to prevent leakage and wasting of water. Never flush paper towels, newspapers, wrapping paper, rags, or sticks into the system. Always fix and repair any leaking toilet or faucet. Never overuse ordinary household cleaning chemicals that will be flushed into the system. Never pour grease or other bulky waste into the system. Kitchen grease should always be poured into a can and disposed of in the garbage. Never plant trees or shrubbery in the drain field. Never allow vehicles (cars, trucks, etc.) to drive across or park on the septic tank or drain fields. Never make just make one day as laundry day. Space out wash loads throughout the week.